Recently discovered guns, courtesy of TSA. 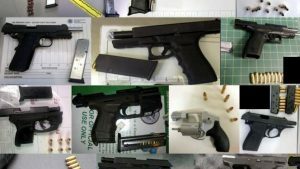 No matter how often the TSA reminds airline passengers not to bring weapons on carry-on bags, security continues to find guns, grenades and other weapons. 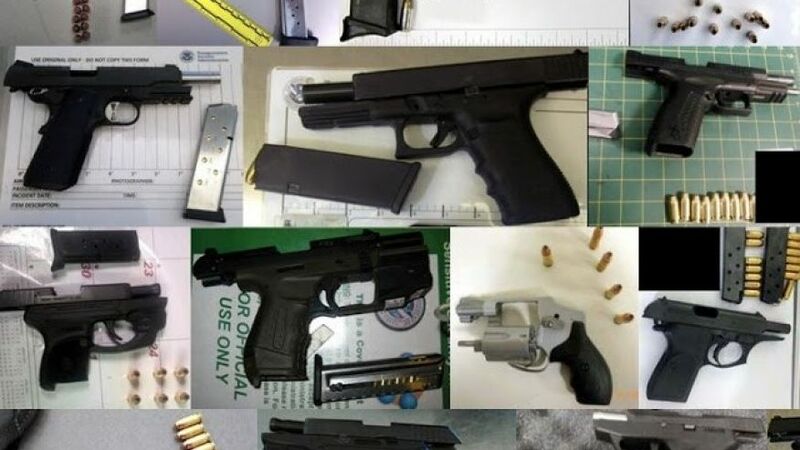 In the week spanning from July 22-29, for example, TSA officers found 74 firearms, three inert grenades, a cleaver and several pocketknives, Fox News reports. Of the 74 guns found, 65 were loaded. Posted: 8/1/16 at 9:36 AM under News Story.